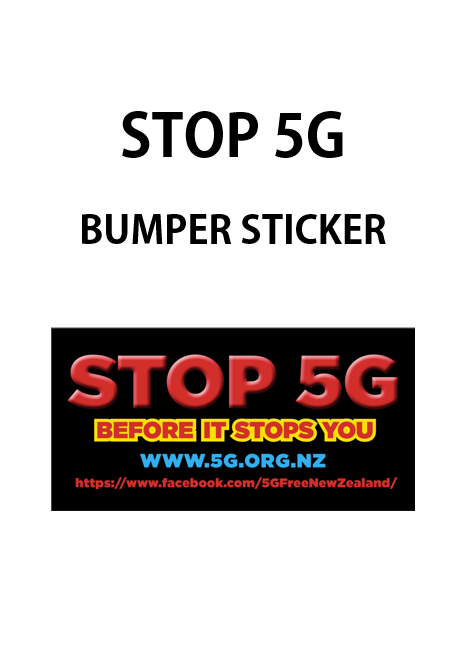 We are selling “Stop 5G” bumper stickers to help publicise the campaign to keep New Zealand 5G Free. These are good quality vinyl-coated stickers that are slightly smaller than the size of a DLE (standard business size) envelope. They are suitable for putting on cars, bikes and/or letter boxes and they are being sold on a cost-recovery basis. 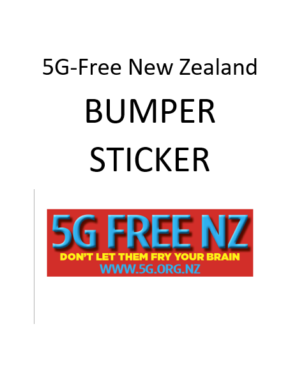 It is also possible to download the PDF file of the bumper sticker to print your own sticker from the relevant page of the website www.5G.org.nz which you can reach by clicking HERE.